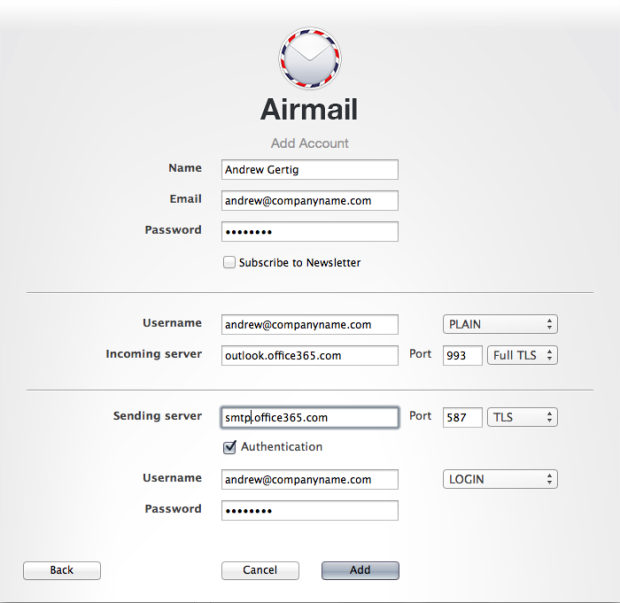 I recently downloaded a great new mail app for Mac called Airmail. You can get it on the Mac App Store. Setting it up with an Office365.com company account is a little finicky. Here are the settings I used to get things working. Then start enjoying your great new mail app!